?Time to sell your condo in San Souci? Read about today's resort-market buyer. Settled on the snow-white sands of Pensacola Beach, visitors and residents of Sans Souci enjoy breathtaking views of the emerald-green waters of the Gulf of Mexico with Little Sabine Bay and the Santa Rosa Sound just across the street. With so much water around, you know the fishing is going to be amazing! Head over to one of the local fishing charters to arrange a daytime fishing trip with a group of friends or the whole family! Sans Souci is a seven-story complex with one-, two-, and three-bedroom units. Each unit has its own private balcony and spectacular views of the Gulf. The outdoor Olympic-sized swimming pool and hot tub also command beautiful views of the private stretch of beach Sans Souci sits on. The community grilling area is perfect for grilling up fresh fish that you can catch yourself in the Sound or in the Gulf or burgers for an afternoon picnic on the beach. Residents and visitors at Sans Souci enjoy a good deal of privacy in this gated community. Assigned covered parking and an on-site laundry facility provide added comfort and convenience. Sans Souci is less than half an hour from a number of restaurants, snorkeling and sailing tours, and historical sites. Jolly Sailing, located at the Pensacola Beach Boardwalk just five minutes away, offers a number of tours. Book a snorkeling tour that the kids will talk away for years or go sailing around the Santa Rosa Sound and admire the beautiful undeveloped coastline of Gulf Islands National Seashore. Historic Fort Pickens and the Fort Pickens camping grounds are less than half an hour away. Enjoy a historical tour of the area before setting up a campfire to roast hot dogs and s’mores under the stars! When it’s time to eat, Peg Leg Pete’s is just across the road from Sans Souci. Enjoy fresh seafood and relaxed atmosphere at this local favorite! Additionally, there are a number of fantastic restaurants right on the shore at the Pensacola Beach Boardwalk, as well as a cocktail bar and the Sandshaker Lounge right across the street. There’s never a dull moment when you choose Sans Souci in Pensacola Beach. 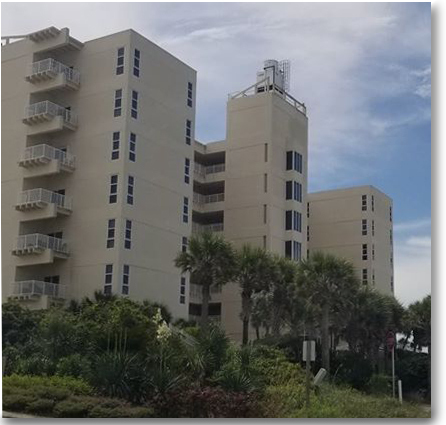 Please let us know if you would like further information for San Souci or any other condos, homes, or real estate along the Gulf Coast or would like to schedule a private viewing by emailing info@condoinvestment.com.